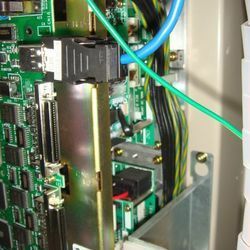 MCC applications - with our drives integrated with our recommended PLC products. 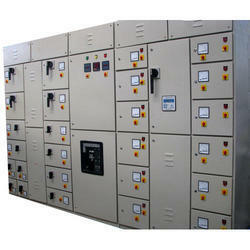 With in-depth domain expertise, we are engaged in providing PLC Control Panel Designing services. The entire services are rendered by our well-versed professionals in an effective manner using sophisticated technology in observance with the predefined market norms. Our offered services are acknowledged for their quality, reliability and timeliness, therefore highly demanded in the market. Our offered services are available at the most competitive prices. 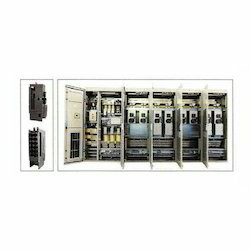 We are a reputed Panel Builder based at New Delhi manufacturing high end systems. 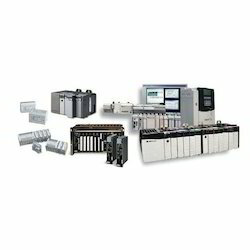 We deal in Allen Bradley, Panasonic Servo Systems. 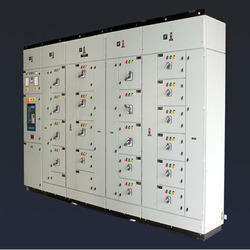 We are the leading and prominent service provider of Turbine SCADA. 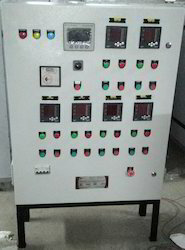 PLC Based Motor Control Centres with VFD. 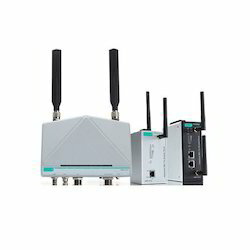 In our extensive range of services, we are engaged in offering superior quality DG Synchronization PLC Based Services. Our team of adroit professionals has in-depth knowledge in this domain and work round the clock to render these services with perfection within the stipulated time frame. Our professionals execute all the stages related to these services in an effective manner. In addition to this, these services are offered at par with clients’ demands within their budgetary constraints. 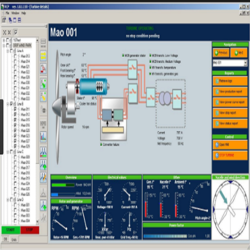 The Synchronization procedure was done with the help of PLC with DI-DO’s & AI’s.For controlling & monitoring we provide a HMI or a SCADA on a PC as per client demand or site requirement to keep track of all the electrical as well as engine parameters. 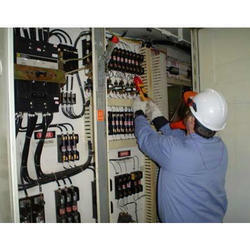 We are a renowned entity indulged in offering Panel Maintenance Service to our valuable clients. These services are offered with the support of our experienced professionals, who have vast knowledge of the domain and render these in compliance with the predefined market standards. 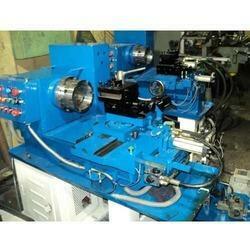 In order to ensure the best services, we utilize high-tech machines, tools and advanced technologies. Moreover, the service offered by us is highly treasured for its durability, reliability and high performance level. Backed by a team of professionals, we are engaged in offering optimum range of AMF, LMS & Interlocking Systems to our clients. This is stringently tested by our quality controllers in order to deliver defect-free range at clients’ end. Moreover, clients can avail the offered range from us at highly affordable prices within the given period of time. 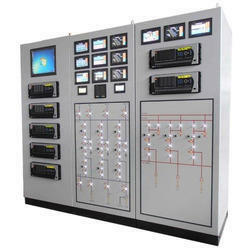 We are providing solutions of designing a monitoring & controlling system (as per the clients requirement) on rockwell Scada software products, Uticor Scada or wonder-ware’s in-touch Scada by considering the client’s need with highly precise & easily interpretable graphic screens for client. This is one area where we specialize & did many of our project related to power system/sub-station automation, sugar mills, machine automation, water treatment plants etc. Considering this new Tackers & Re-claimers which are fully automated with sensors & many other PLC controlled instrumentation for their Luffing (up & down movement control), Traveling on rail track & slewing-(its rotary movement on its central axis). For their remote supervision & control from the central control room which is almost 1.5 km away from their (machine’s) main working area we installed radio’s which can exchange update their status in the CCR using 2.4 Ghz of radio frequency license free band. With the help of radio signal which updates the status of machine’s in CCR helps eliminates the need to keep a manual watch over the movement of stacker which will be available in CCR on SCADA screen. 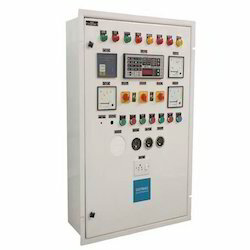 By using this one can reduce man power to control it & can ask for almost 24×7 fault free environment which helps increase the efficiency of a plant by feeding raw material round the clock. Backed by rich industry experience, we are the leading service providers engaged in offering Machine Automation services. The offered services are effectively rendered in adherence to the set universal standards. In addition to this, these services are executed as per the varied specifications of clients in order to gain their maximum satisfaction. Clients can avail the offered services from us at market leading prices. 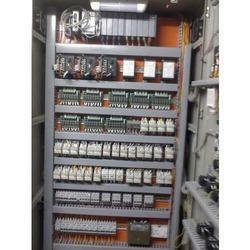 PLC Panels on Allen Bradley System with control logix PLC, compact logix PLC Systems. 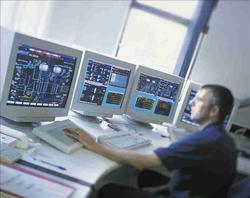 We have inhouse team for designing of SCADA system & commissioning. As an esteemed name in the relevant industry, we are offering Automation Project. Following industry defined guidelines, our vendors’ professionals design the entire range by utilizing contemporary machines, modernized technology and prime grade raw materials. In order to ensure quality, the entire range is rigorously tested on a series of parameters. Clients can avail the offered range from us at market leading prices. 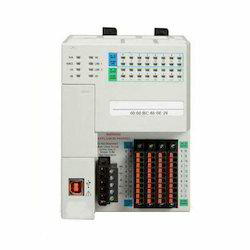 Looking for PLC Based Panels ?